Sometimes the Stars: Liebster Award. I'm the type of girl who loves to stumble across (and consequently fall in love with!) new blogs. 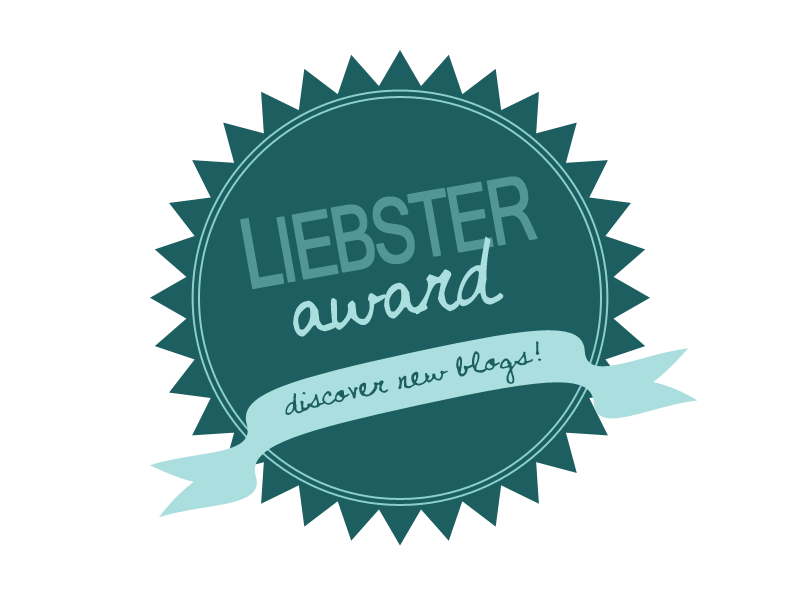 So when the lovely Lauren nominated me to complete the Liebster Award, (where the focus is to find and share not-so-well-known bloggers that you love) I was on board! I love music... Of all kinds, but mostly Australian, and mostly rock/pop. I am a lip product addict. I have far too many for one person, (especially as far as reds are concerned), but I can't stop buying them! I'm currently studying psychology, and want to one day (hopefully) be a doctor. My wardrobe consists of mainly black, white, grey and red. I wear my Doc Martens more than anything else. You know that band or musician that comes along when you're about 14-15 and changes your life? Michael Paynter is that person for me. I went up to grade 5 in singing exams and grade 3 in piano exams. I prefer real CDs to buying music online. I'm more a dress kind of girl, than a jeans kind of girl. The albums that are currently on high rotation for me are 'The Brink' by The Jezabels and 'Five Star Laundry' by Motor Ace. Here's the questions from Lauren! What is one country that you want to visit?I'd love to go to Greece! The scenery in itself looks amazing! What is your favourite book?Bridget Jones: Mad About The Boy. It's the third book in the Bridget Jones series, and it's the best one. It's much deeper than the other two, and more likely to make you cry too! What is your favourite beauty product right now?My Nars Matte Lip Pencil in Cruella. Adoration is the only way I can explain my feelings towards this product. What is the craziest thing you have ever done?I'm not normally an impulsive person, but falling in "love" overseas and then bringing that person back to meet the family was probably the craziest (and also the stupidest) thing I've ever done... It seemed like a good idea at the time. Who was your first crush?I have absolutely no idea! Maybe someone from the band Five... I was obsessed with them as a child. What is your favourite season?Probably Autumn or Spring. The time when the weather is high teens-early twenties. What things remind you of your childhood?TV-shows, music, photos, people... Mainly music though. What is your favourite shop? (It can be beauty related, clothes, home wares ect..)Online I love Modcloth. Beauty-wise I love Mecca Cosmetica. For clothes I like Sportsgirl (their jeans are amazing!) and Glassons. And here's my questions for you! What is your favourite pick-me-up album? What is a product that you recommend to everyone? What is one thing you would love to do before you die? What would you be doing if you weren't doing what you're doing now (work/school-wise)? What is your favourite band, that no-one has ever heard of? Thanks again to Lauren (http://laurenellen1.blogspot.com.au/) for nominating me! Same movie situation as I'm in: I've seen almost all Hugh Grant's!! And congratulations on winning the award! Thanks for the Award you delicious babe!